"I'm not a scientist" is a familiar refrain among people asked to evaluate scientific claims they feel are beyond their ken. Most citizens learn about science from media coverage, and even the most conscientious reporters sometimes struggle to offer a clear, unbiased explanation to readers. Politicians, activists, business spokespersons, and religious leaders with their own agendas to pursue also influence the way science is reported and discussed. Meanwhile, anyone seeking factual information on climate change, vaccine safety, risk of terrorist attack, or other topics in the news must sift through an avalanche of bogus assertions and self-interested spin. 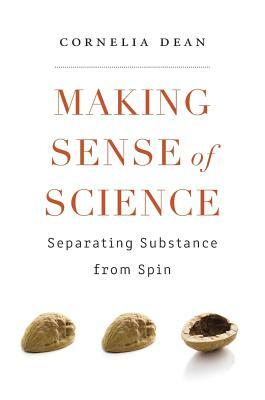 Making Sense of Science seeks to equip nonscientists with a set of critical tools to evaluate the scientific claims and controversies that shape our lives. Cornelia Dean draws on thirty years of experience as a science journalist with the New York Times to expose the flawed reasoning and knowledge gaps that handicap readers with little background in science. Shortcomings in K-12 education are partly to blame, but so too is the public's indifference to the way science is done and communicated. Dean shows how venues such as courtrooms and talk shows become fonts of scientific misinformation. She also calls attention to the conflicts of interest that color scientific research, as well as the price society pays when science journalism declines and government funding for research dries up. Timely and provocative, Making Sense of Science warns us all that we can no longer afford to make a virtue of our collective scientific ignorance.